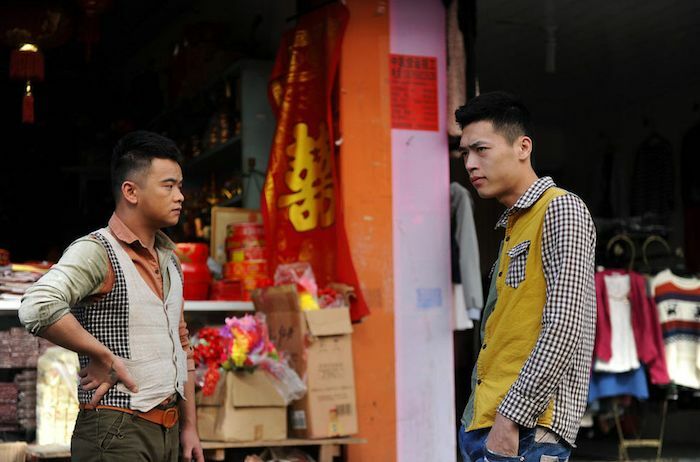 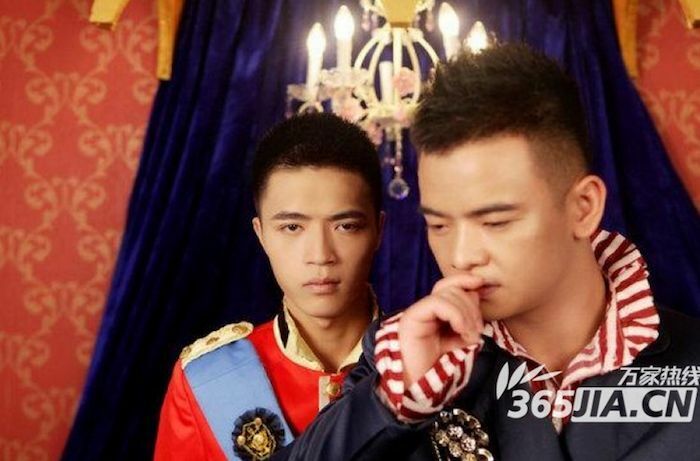 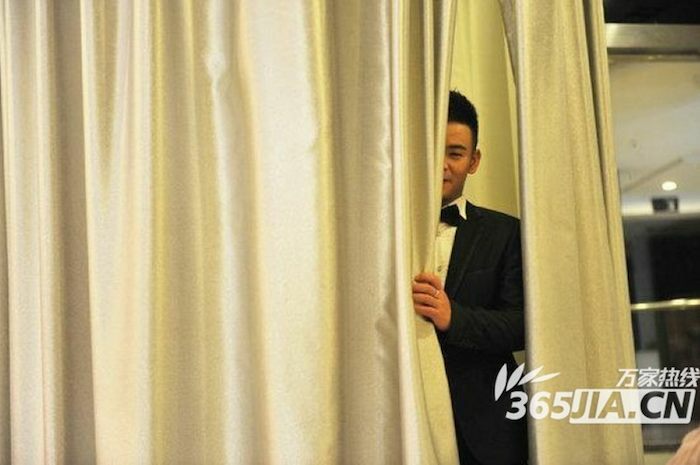 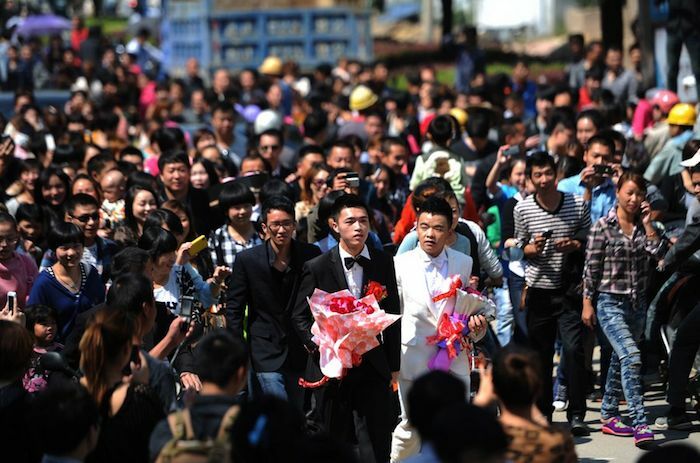 2 Quanzhou, Fujian Province held the first public gay marriage of China. 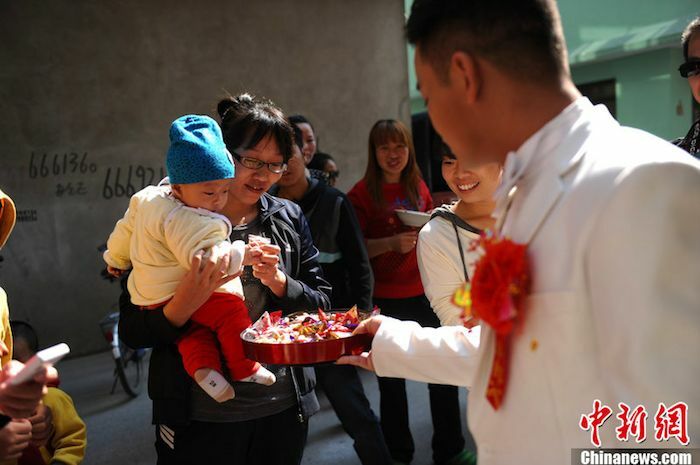 Lu Zhong, 24, and Wanqiang Liu, 20, celebrated their union in the streets of the city by sharing their joy. 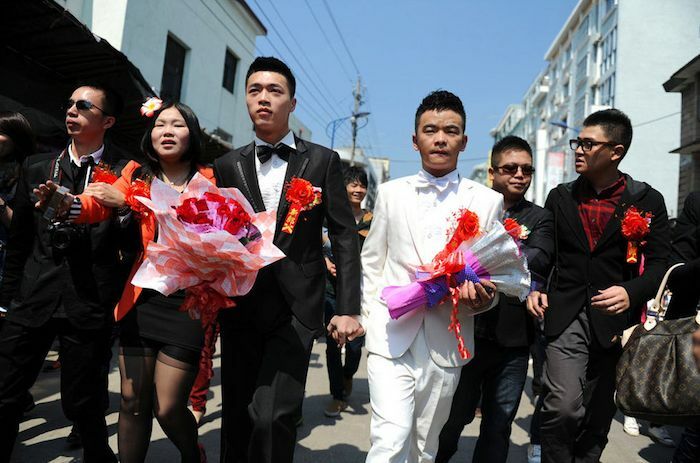 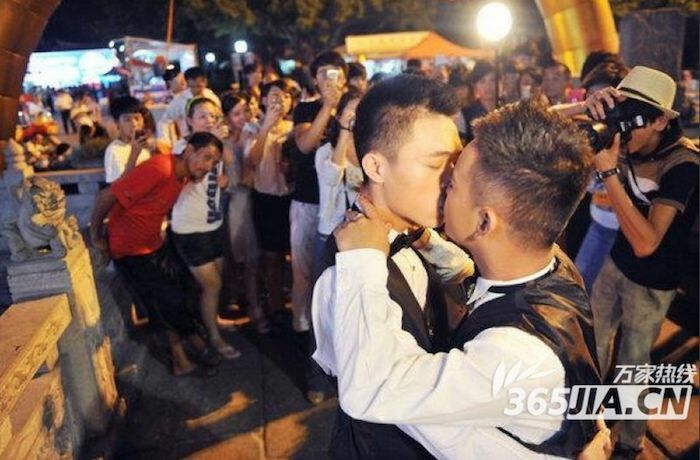 Quanzhou, Fujian Province held the first public gay marriage of China. 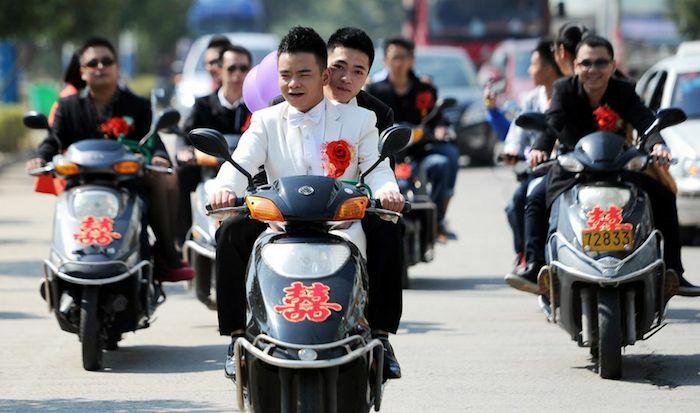 Lu Zhong, 24, and Wanqiang Liu, 20, celebrated their union in the streets of the city by sharing their joy. 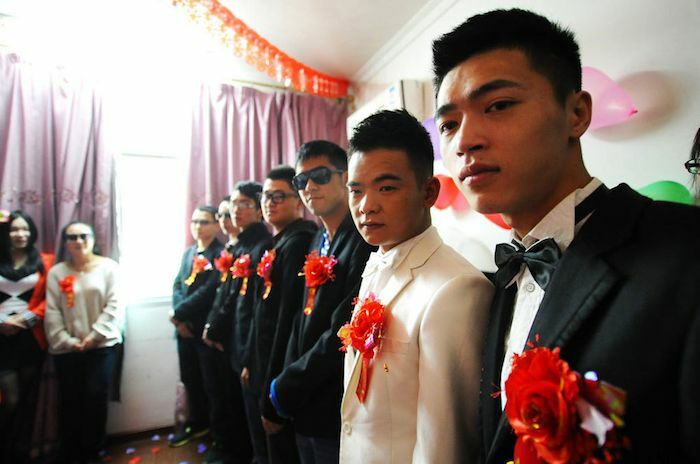 The two young men, after two years decided to get married. 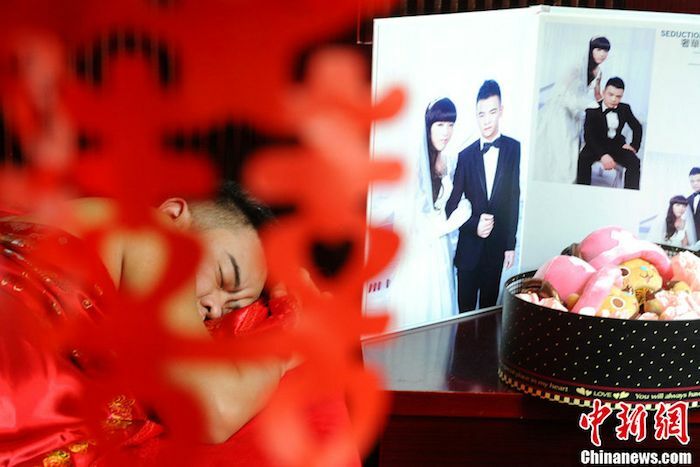 The couple also wanted to share their love with the social network, putting online the wedding photo shoot. 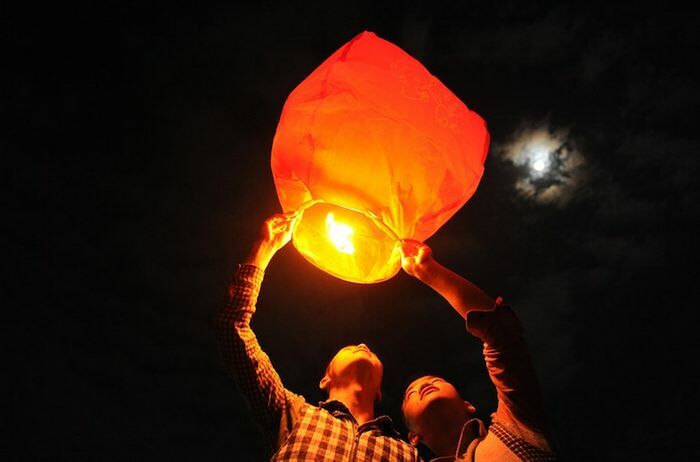 The shots start from 13 September, when Jiang LiuWan was wearing a wedding dress with a wavy wig; on September 30, during the Mid-Autumn Festival the two in a park were flying lanterns; the eve of the wedding, Zhong Lu and Jiang Liuwan honor the tomb of their ancestors; the day of the wedding the couple kissing affectionately, surrounded by a large crowd. 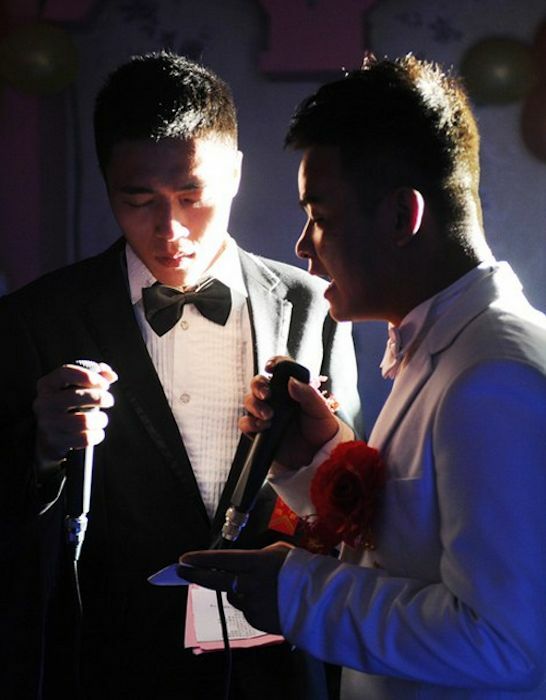 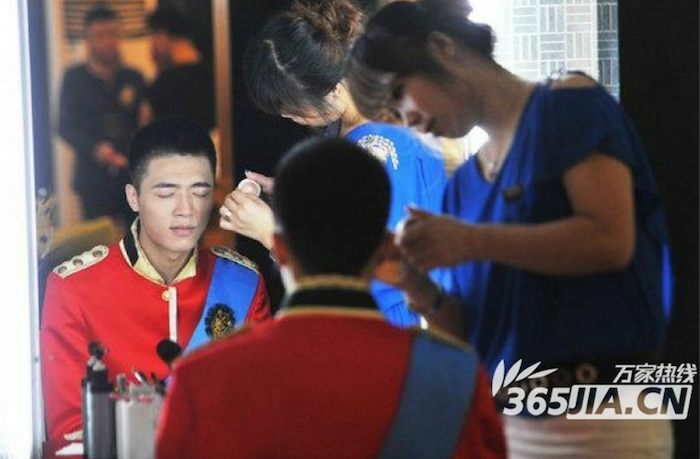 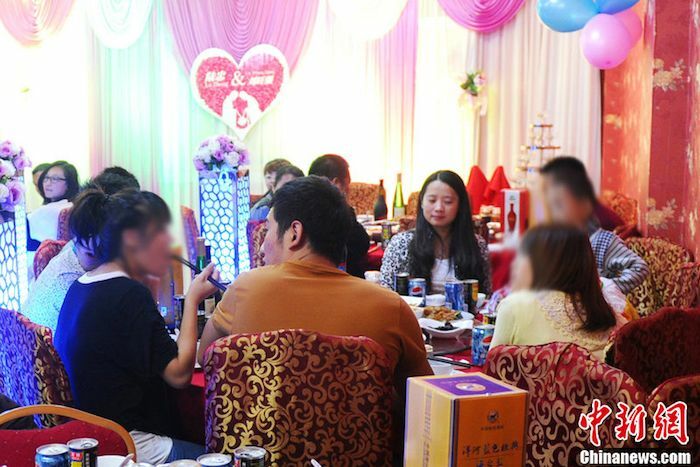 During the party they sang together, they swore love forever and burst into tears. 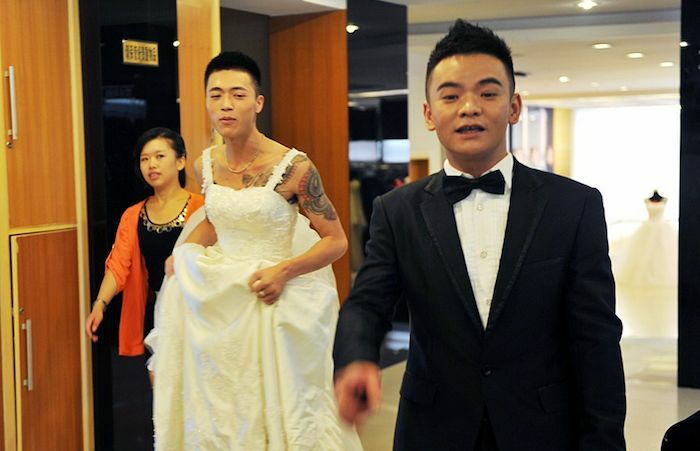 As each pair of newlyweds, it’s time for them to go into the bridal chamber, the two young men shared on the web also this moment.